“Type 1 diabetes is manageable, but this boy has a life-long condition to live with"
When a young boy and his mother visited their pharmacy to get passport photos, they were not expecting to receive some shocking blood test results. 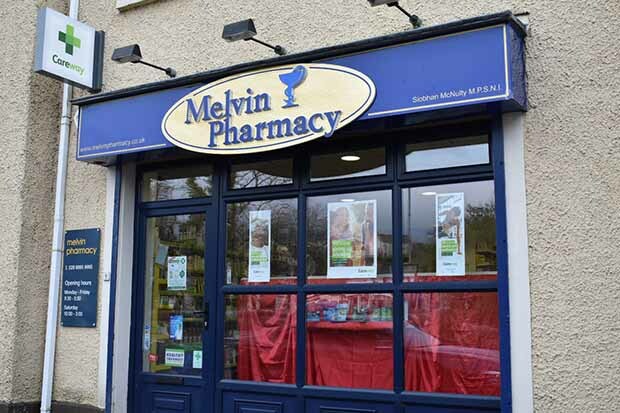 Siobhan McNulty, owner of Melvin Pharmacy at the heart of a rural community in Fermanagh, Northern Ireland, knows her customers well. When 12-year-old Cameron took off his jacket in the pharmacy, she noticed he was looking “strikingly thin”. She asked him a few questions. He said he had been drinking up to five litres of water a day. He was off school that day, saying he felt “tired” and “sick”. Furthermore, when his mother weighed him, they discovered Cameron had lost two and a half stone in three months. His symptoms rang alarm bells. Ms McNulty tested his blood sugar. A normal reading would have been between 4 and 7mmol/l (millimoles per litre), but Cameron’s was more than “three times above”, at 25mmol/l. She called her local GP who confirmed her concern – Cameron had the classic symptoms of type 1 diabetes and needed hospital treatment. They considered calling an ambulance, but the boy was distressed and they decided it would be quicker for his mother to drive him to hospital. Ms McNulty advised him not to eat on the way “because it could shoot his blood sugar through the roof”. At the hospital Cameron was seen within minutes. He was given insulin and diagnosed with type 1 diabetes. Ms McNulty says Cameron’s mother was “very grateful”. But she has mixed feelings about what happened that day. “Type 1 diabetes is manageable, but this boy has a life-long condition to live with. While it was great to pick up the signs, it is awful having to tell someone that news,” she says. She has previously diagnosed two other patients with type 1 diabetes, when working in Liverpool. One young man had blood sugar too high for his monitor to read. A woman in her 70s had a blood sugar reading of around 30mmol/l. Ms McNulty sent them both to A&E. Since she opened Melvin Pharmacy in 2009, Ms McNulty has been spotting symptoms in patients living in the remote rural community, which is six miles from the nearest GP surgery and 25 miles from the nearest hospital. Ms McNulty has an independent prescribing qualification specialising in diabetes and pain relief. If a GP has already diagnosed or prescribed for these conditions, she can make further prescriptions for patients. Diabetes is of particular interest to her because “it’s an area that has a lot of new drugs on the market”. She uses her knowledge and qualification while working three days a week in a GP surgery. “I’m happy to spend time working out what is the most useful medication for a patient or altering their therapy to get the best result,” she says. Up until the summer of 2018, Ms McNulty routinely offered blood sugar testing in the pharmacy. But the “massive under-funding” of the sector in Northern Ireland forced her to stop carrying out the test. “It wasn’t a commissioned service so we never got paid for it. When the lack of funding was really obvious, we realised we had to put our resources into other areas of the business that were generating income to make sure the pharmacy business was feasible,” she says. The funding pressures have hit her pharmacy hard. She also had to stop the blood pressure and cholesterol testing services, and she reduced the pharmacy opening times by eight hours a week. But “luckily”, she says, she still had her blood glucose monitoring equipment when Cameron and his mother entered the pharmacy. She would like to see blood sugar testing made a commissioned service in Northern Ireland. “It would make sure all pharmacists have the same level of training, know the signs and symptoms to look out for, have appropriate testing equipment, and a referral pathway to a GP,” she says. Despite not being commissioned to run a diabetes testing service, Ms McNulty keeps her knowledge up to date and blood glucose monitoring equipment in the pharmacy. She demonstrates how, despite funding challenges, pharmacists are willing and able to go beyond standard services in offering care to patients. Have you picked up on an undiagnosed medical condition? I have done the same, sadly my own child. Your reward may well be that the child in question is given a libre device, which you will get scripts for that you then have to dispense at a loss! Apparently hard work does not pay off. Is that because the DH assume we get discount? And the price for Libre sensors is the same as the DT reimbursement price? Yes thats correct. It works out at about a 4% loss. I wont dispense them if the patient does not get all their meds from me. Its a great product that I have a lot of personal investment in, but the way that the distribution, reimbursment and prescribing has been handled is very poor.